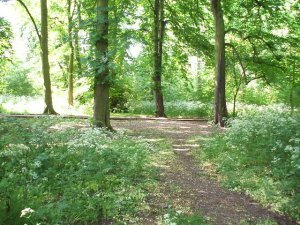 The Parish Council is pleased to announce that following liaison with the Leicestershire and Rutland Wildlife Trust and Sue Timms, Senior County Ecologist that Aylestone Holt Spinney and Holt Acre have been designated as a local wildlife site with effect from 26 November 2009. 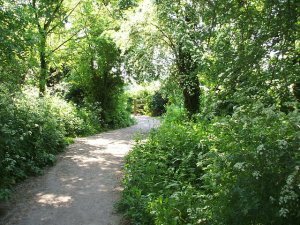 During a cold day in November 4 volunteers swept the paths in the spinney to clear them from leaves. 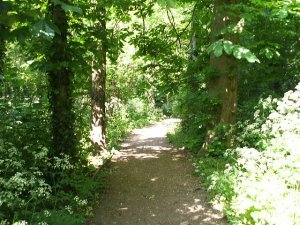 Jim Clarke, Nova Guhan and Mr & Mrs Hubble were involved. Mr & Mrs Hubble, Jim Clarke, Glyn Leach, Julie Allen and John Woodward donned wellingtons to clear the ditches around the edge of the spinney. 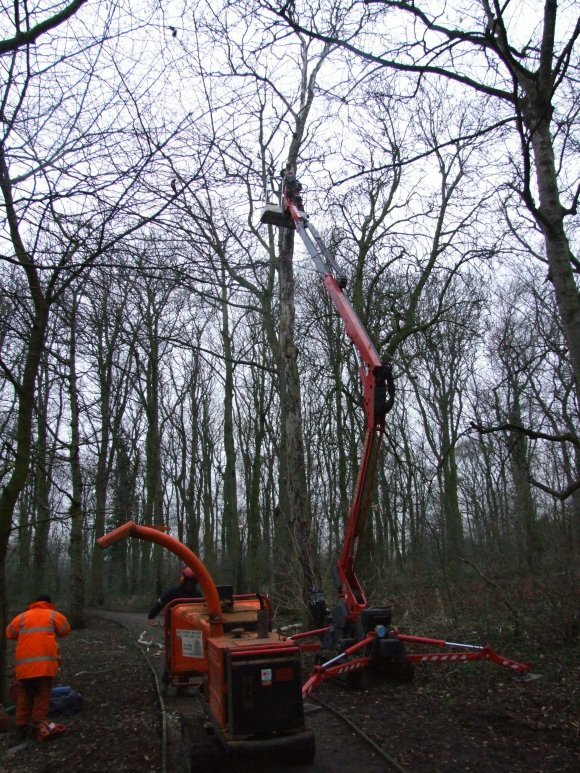 Local volunteers braved the severe weather conditions on 14th January 2010 in order to install a number of bat and bird boxes in Aylestone Holt Spinney, which had been kindly donated by Blaby Rotary Club. 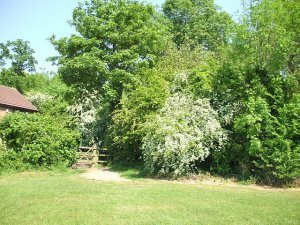 It is hoped that these new boxes will enhance the local wildlife in the spinney and the Parish Council is working towards improved management and maintenance of the Spinney in order to safeguard it for future generations. Volunteers for this event included Mr & Mrs Hubble, Nova Guhan, John Woodward, Glyn Leach and Jools Partridge. If you would like more information or would like to be come a volunteer please contact the Parish Clerk. 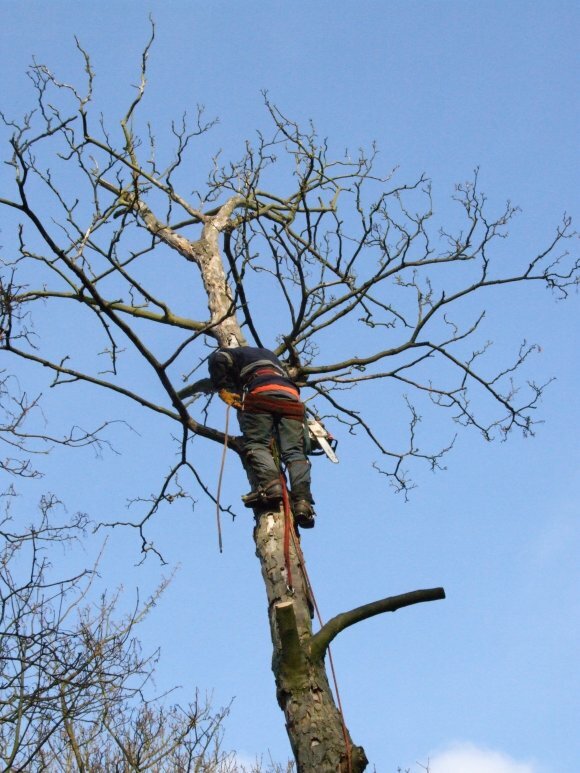 Removing tops from approximately 20 diseased sycamore trees and leaving standing timber for wildlife. 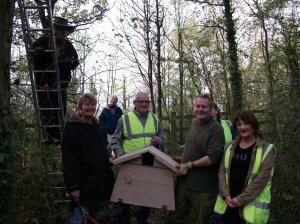 November 2011 saw the installation of a barn owl box in Aylestone Holt Acre Spinney by the local volunteer group assisted by Jules Partridge. 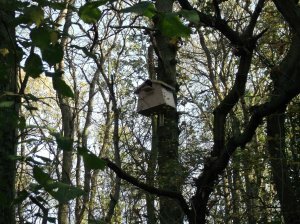 We hope that over time it may attract occupancy by owls and we will monitor its use over future months.